Check out this fun Star Wars/Super Powers action figure mash-up! This was pulled together by Jason “Toy Otter” Geyer over on Action Figure Insider. Both action figure lines were produced by Kenner, so this isn’t as far-fetched as you might imagine. The cosplayer in the photo is Match-head Allen Lee Hansard from the Super Hero Costuming Forum. Follow this link for a lot more Super Powers/Star Wars mash-up action figure cards! My thanks to CT from Nerd Lunch for the heads-up on this! Support Firestorm! Fan the flame (and the Force)! 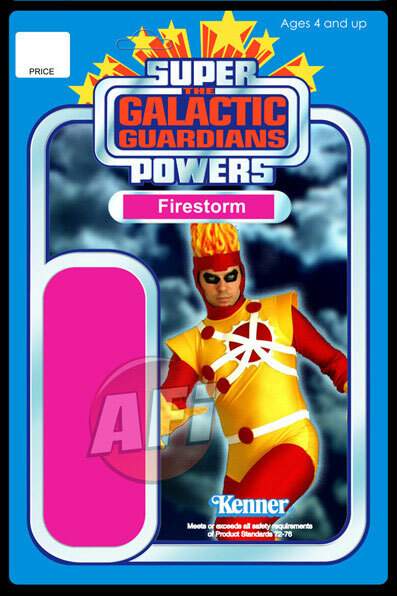 Posted in: Cosplay, Firestorm #01: Original (Ronnie/Martin), Super Powers Collection, Toys. ← Return of the Lady Firestorm Cosplayer! That is KOOL! I would definatly buy that! Awesome!